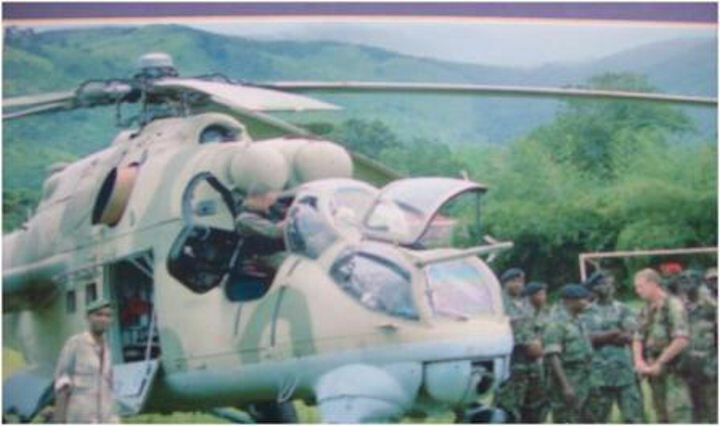 The endorsed air capability for RSLAF - Air Wing reviewed as at 2004 is 2 Attack Helicopter, 2 Support Helicopter and 2 Fixed Wing with personnel strength of 44 Officers and 100 airmen. This design is a model of small but very effective Air Force. With this proposed capability, the Air Wing is expected to move to its permanent Air Base at Hastings Air Field, were the hanger and runway facilities will be used. The Air Wing is currently co-located at the Cockerill Barrack Wilkinson Road, Freetown with Headquarters Joint Force Command. It current location at Cockerill Barracks will remain as a rear Air Base. At the same time that President Stevens announced the existence of the nucleus of a navy in June 1973 , he also disclosed the formation of a small air arm for the Sierra Leonean defense forces. What had existed previously was an air transportation crew comprising elements of the Guinean air force. In 1972, when the Guineans were replaced by Sierra Leoneans, the air wing had three helicopters and two small fixed-wing aircraft. In April 1973 Sierra Leone took delivery of two MFI-15 Saab-Scania light trainer aircraft and two Hughes 300 helicopters. 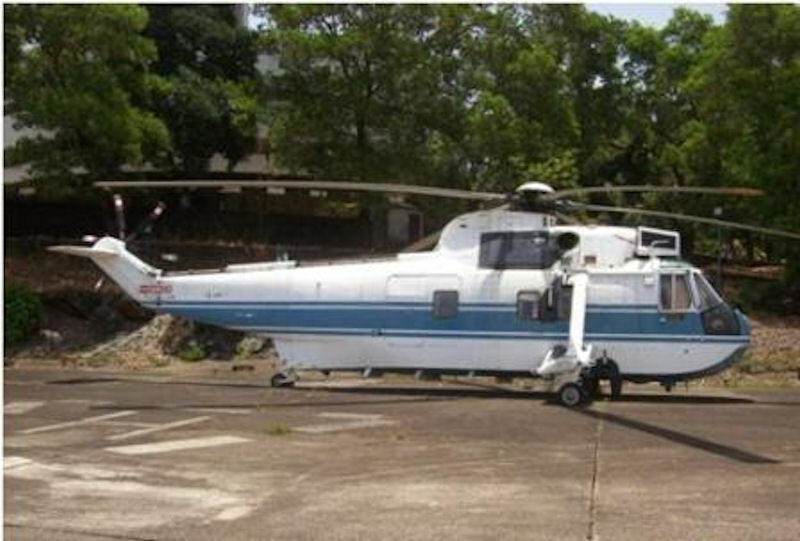 The president later ordered a third helicopter for his personal use. It was also revealed in 1973 that Sierra Leone would establish a flying school with Swedish assistance. Sweden also supplied pilots for the aircraft that were in use. 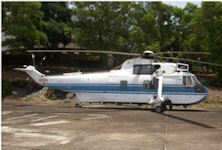 The president had appealed to the head of Ghana's military government for assistance in training Sierra Leonean pilots. In the mid-1970s the air force was estimated to be twenty-five strong. The air force base was the Hastings airport. Chapter XI, Section 165 of the 1991 Constitution of the Republic of Sierra Leone, makes provision for the establishment of the Armed Forces of Sierra Leone, which shall consist of the Army, the Navy and the Air Force. The Army and Navy were already in existence while the Air Force was yet to be established. The Air Wing was then given birth to, during the peak of the rebel incursion. This was precipitated on the urgent requirement by the Government of Sierra Leone to boost the effort of the much stretched Army and Navy, by providing fire power from an air platform as well as rapid response capability for the armed forces. Thus, the idea of establishing an Air Wing was borne as foundation from which it would be further developed into an Air Force in future. 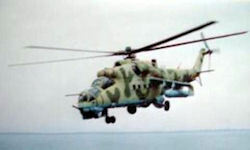 The Air Wing was actually ‘hatched’ in earlier days of 1995 and it has since been in existence despite several challenges confronting it survival. Conduct Air Operations within the territorial waters and international borders in order to secure the territorial integrity of Sierra Leone. Conduct Counter Insurgency Operations both within jungle and urban spaces. Provide independent capability to FIND, FIX and STRIKE hostile forces. Conduct individual Ground and Flying training and Collective training with identified elements of the Joint Force to enable the provision of support in terms of reconnaissance , transport of personnel and materiel, and armed action in concert with the scheme of decreed by Commander Joint Force. Maintain air assets in an appropriate Notice to Move (NTM) states including a Quick Reaction Capability as dictated by the commander. The Air Wing has under-taken several combat and support operations in concert the other components of the RSLAF. Prominent among them were: the Operation BARRAS-Westside raid, Operation KAMBIE-border patrol between Sierra Leone and Liberia, MEDEVAC and CASEVAC Operations and various Relief–of–Troops such as: Operation TASSKONEH 1&2.